Hatches have been pretty slow since the flows went up. 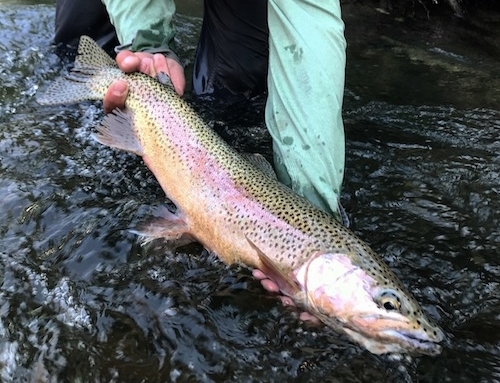 Nymph fishing along with streamer fishing will be your best bet till bugs start to come out. Midge patterns and BWOs will do the trick in mornings and evenings. Should start to see Salmon flies, golden stones, and cicadas in the next couple of weeks. 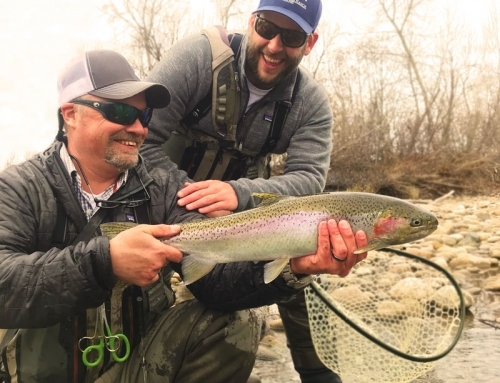 Your best bet with the high flows is swinging some streamers and leech patterns (Sculpin variations in olive are a great pattern to swing along the banks. Nymphing with various bead head nymphs (copper johns, pheasant tails, prince nymphs, zebra midges.) Look for fish holding in the tailouts. Expect midges early morning and late evening. 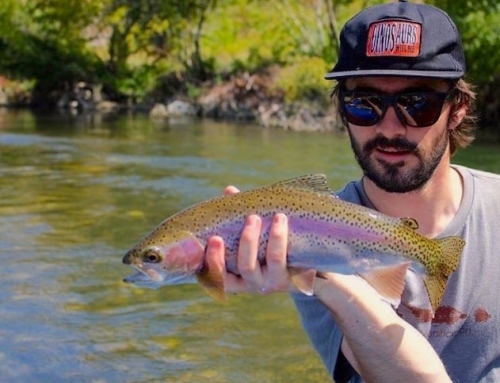 Nymphing a big stone pattern with a dropper beadhead could be deadly this time of the year. 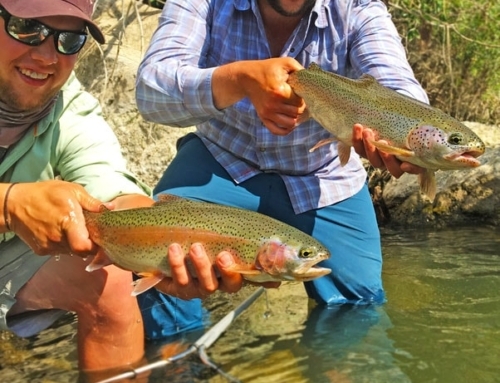 Streamers can be a great way to pick up bigger fish as the sun starts to set. CAUTION: Please be careful wading with the high flows! make sure your wading belt is on and tight. Keep an eye out for rattle snakes. Be sure to check NOAA 7 day forecast before heading out.